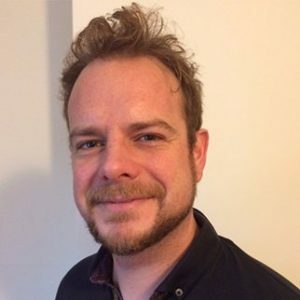 deepsocial was set up by David Pawsey who began his career in journalism but soon developed a keen interest in blog writing, digital content, social media and the science behind ensuring your content not only gets seen but seen by the people that the content is aimed at. David began his journalistic career at the consumer organisation Which? where he was part of the team that launched Which? Money, the organisation’s most successful new launch to date. From there he moved to the Financial Times, working as a reporter on trade titles aimed at financial advisers. Soon after this, via a brief stint in the communications department for Kingston Borough Council, David took a career break to spend more time with his family. Yes, it’s a cliché but becoming a stay-at-home Dad gave him as much of a lesson in stakeholder management, flexible working and prioritisation as dealing with political figures and influencers in the world of business had. While parenting is a challenge that demands a lot of attention David still found time to build a successful freelance career writing for a number of digital marketing and content marketing agencies. It was during this time that he really developed his keen interest in the world of social media, SEO, content marketing and marketing strategy. While a lot of knowledge was gained “on the job” David cemented his knowledge by achieving a Digital Marketing Diploma through the Chartered Institute of Marketing. David also has certification from Hootsuite, HubSpot and Moz, some of the main providers of digital marketing tools and intelligence. Pretty impressive for someone that was often elbow deep in nappies at the time, eh?! With both children now at school David has a lot more time on his hands which is why he has taken the bold step of setting up deepsocial. However, he can’t do it all on his own and does occasionally outsource duties to freelancers. But these aren’t just any freelancers. These are contacts and friends David has built up during his two decades of working in the media. In the majority of cases these are people that David has known on a personal basis for at least eight years. So you can rest assured that any content provided is from a trusted source and full bios will be provided if David is unable to personally carry out the work himself. And if you really want to find out a bit more about David, you can through his blog trytotrihard.blogspot.com.